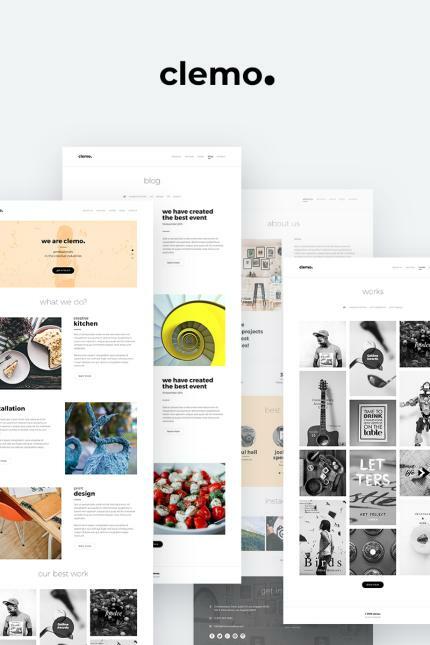 Clemo is a high-quality website template perfect for making websites for creative agencies or any type of company. It contains 10 PSD files in which all layers and folders are well organized and named. The design has a modern and elegant style and is based on an 1170px Bootstrap grid. The layout is beautiful with large images and adequate typography.